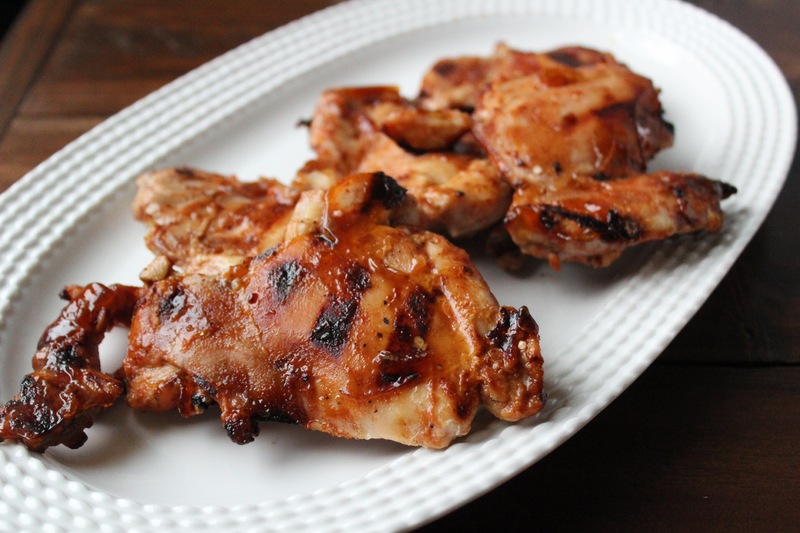 Sweet and tangy chicken thighs that are finger lickin’ good! BBQ chicken screams summer! There’s nothing I love more than a good bbq on a hot summer day. And what’s better to accompany your corn on the cob and watermelon than finger lickin’ good bbq chicken thighs! Season chicken thighs with salt and pepper. Slather BBQ sauce on chicken. Grill over medium heat 5 mintutes per side. 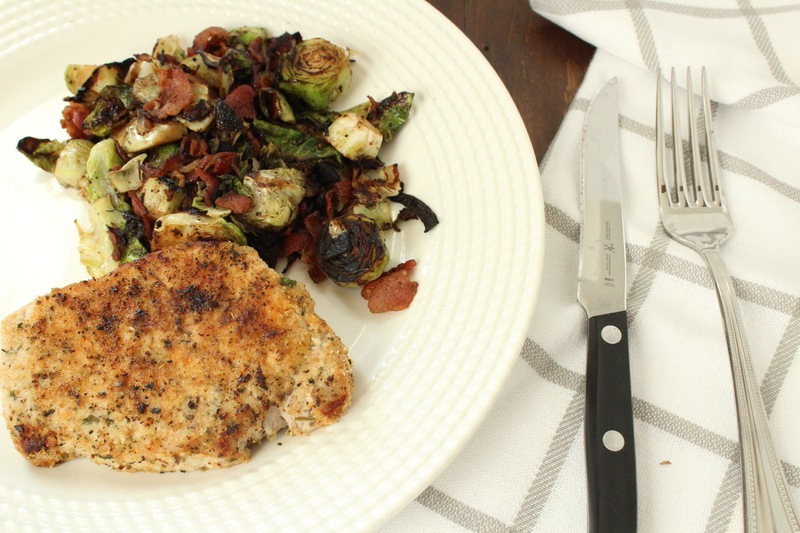 Tuesday – Parmesan crusted pork chops with roasted brussel sprouts and bacon! This is the 2nd time I’ve made the pork chop recipe and both times the chops didn’t need the 30 minutes of cooking time like listed. Good thing I was using a meat thermometer. Pork is done cooking when internal tempature reaches 145 degrees. Place cast iron skillet over medium heat, add bacon and cook until crisp, flipping once. Set aside on a paper towel lined plate. In same pan, add the brussel sprouts and cook 20 minutes or until charred and starting to soften. Stir often. Add shallots and cook another 2 minutes. Add balasmic vinegar, stir together, serve. 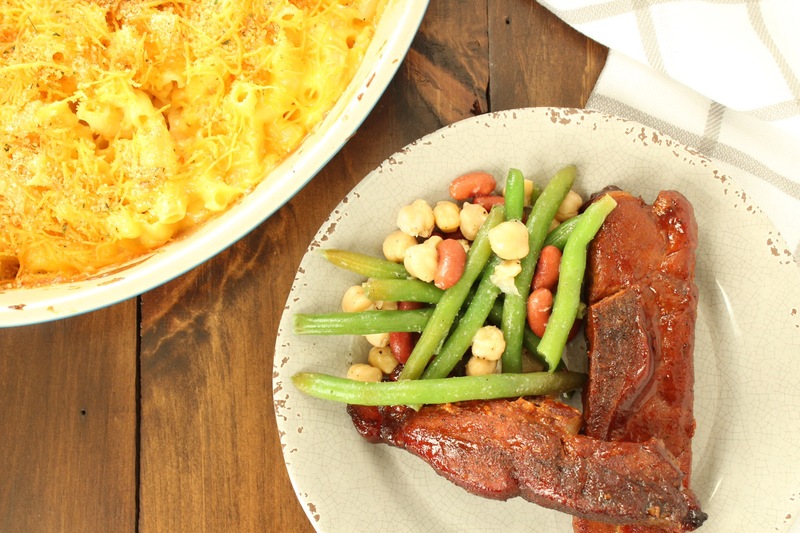 Wednesday – Crockpot ribs with mac and cheese and three bean salad! To make this meal easier, you can make up the mac and cheese the night before (all but the last step) and 20 minutes before you need it, add the shredded chedder and breadcrumbs. 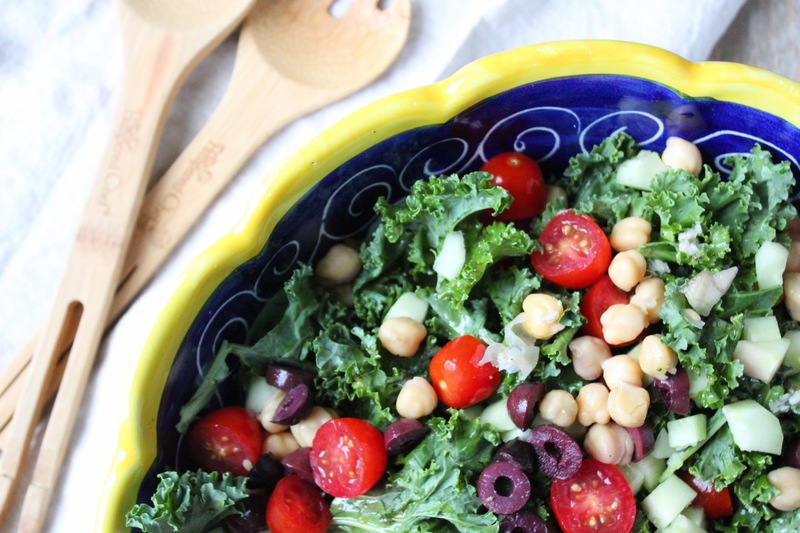 Thursday – Kale greek salad. Healthy and refreshing! I grilled up some chicken to add to it. 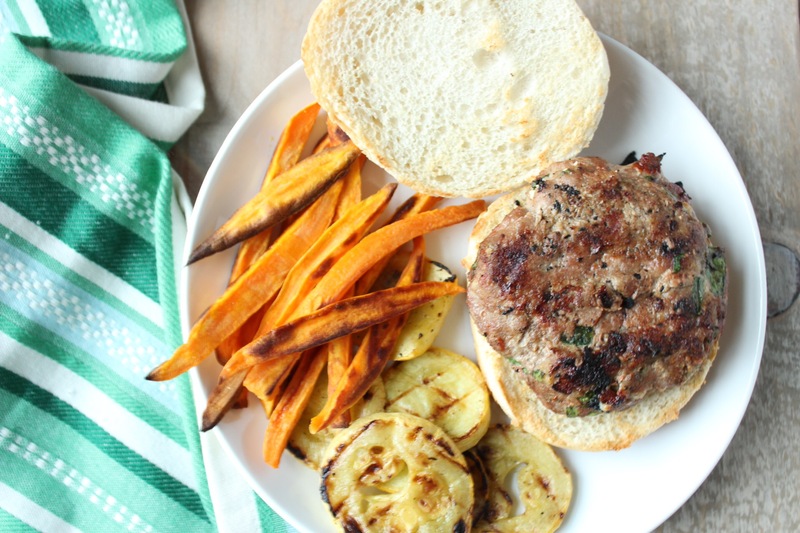 Leftovers make a great lunch the next day! 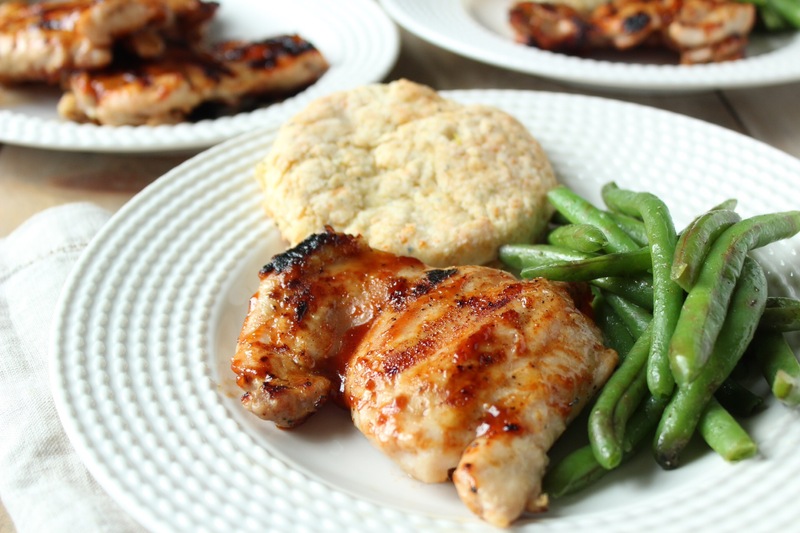 Friday – BBQ chicken thighs with green beans and cheddar/sage biscuits! These biscuits are da bomb 💣(sorry for my corny joke). I’ve made these for the past few years everytime the weather warms up and the BBQ’s start! Season chicken thighs width salt and pepper. Slather BBQ sauce on chicken. Please on heat grill. Cook over medium heat 5 mintutes per side.